“We met our borrowed dogs, Millie and Nancy, shortly after joining BorrowMyDoggy, and have loved them ever since! The nature of my and my partner's job means that we can't really commit to having a dog full time, so BorrowMyDoggy is the perfect solution. Millie and Nancy’s owners needed flexibility with the borrowing, and that's exactly what our job allows us to do. 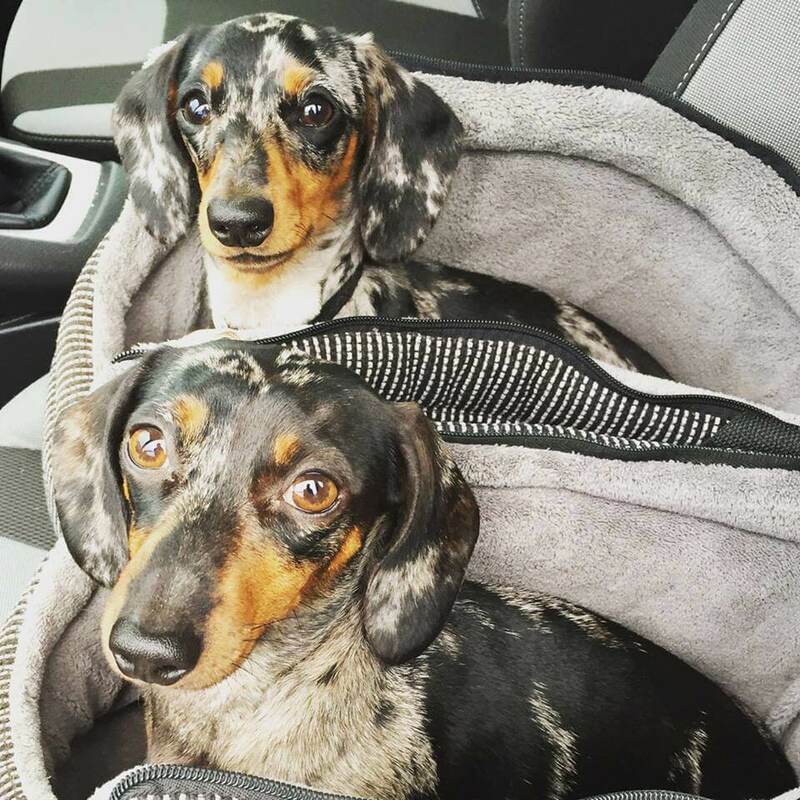 My family have always been big dog lovers and it's great being able to bond with these two adorable Dachshunds.” - Millie & Nancy’s borrower, Jenna.